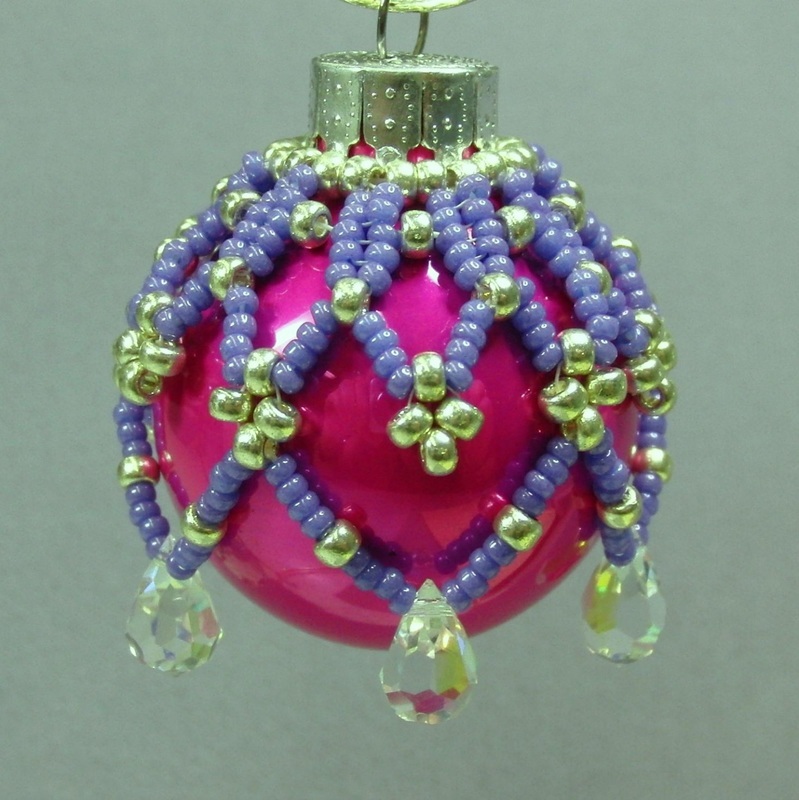 Holiday Creations - Bead It! 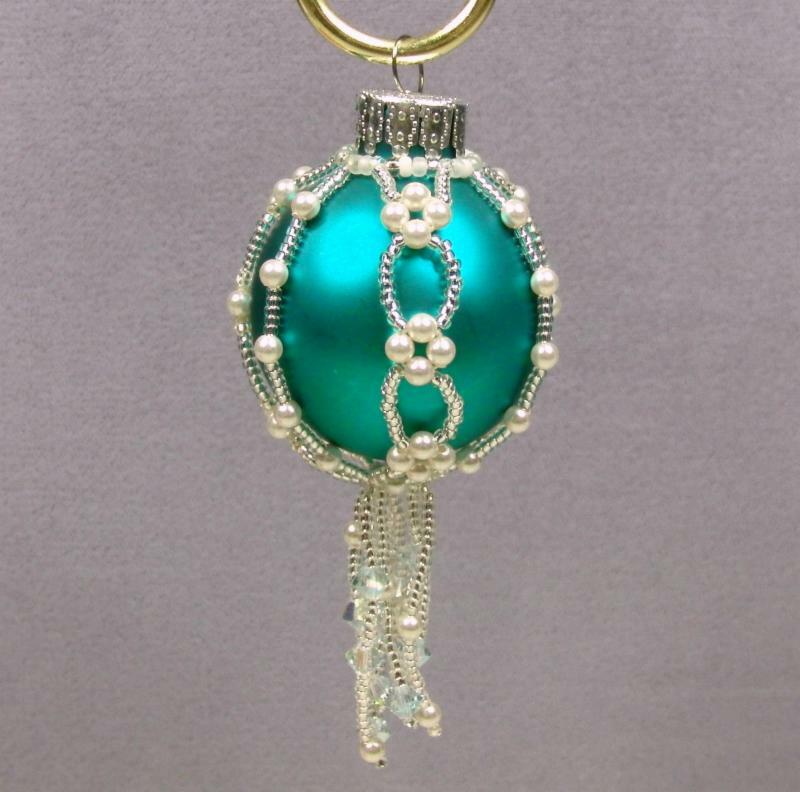 Every month we will be teaching an original ornament, designed by one of us! 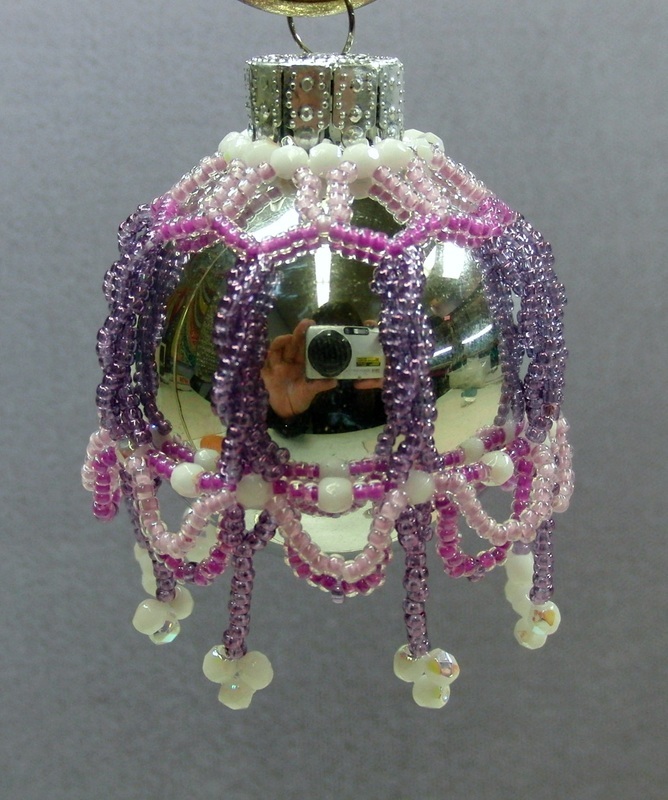 They are designed to fit a 35mm ornament (one ornament is included in the class fee). If you can not attend the scheduled class, contact us to set up a private class! 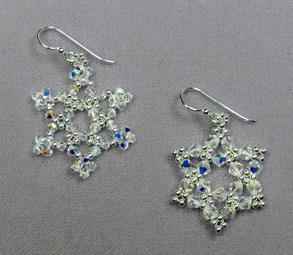 These tiny patterns make great holiday earrings. Once you learn Santa you know how to increase and decrease with brick stitch. You will be able to create all of the other patterns as well as original designs created by you! 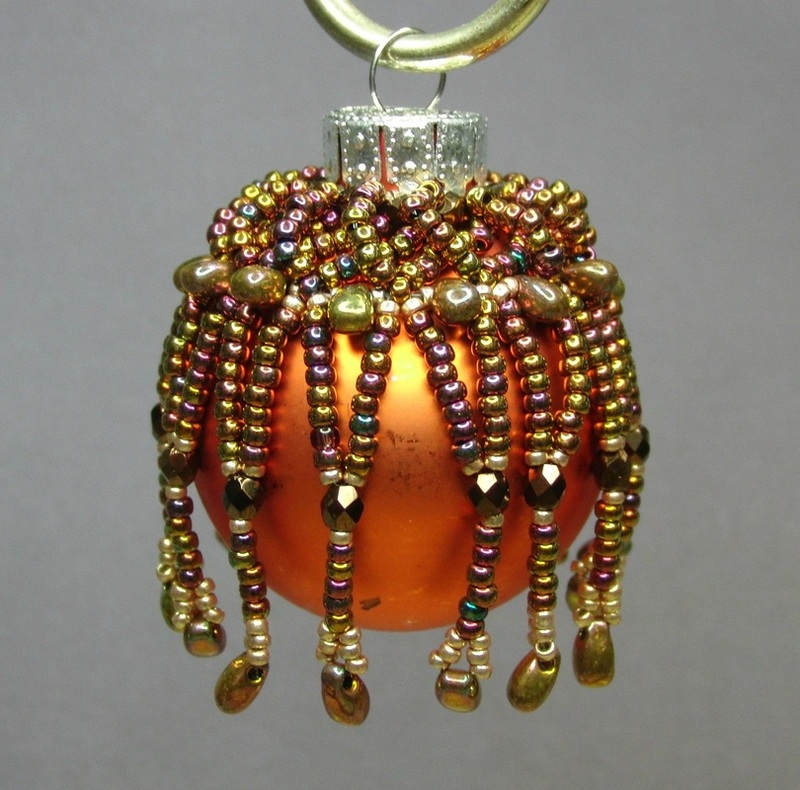 Use 11/0 Delicas for earrings and pendants; use 8/0 Delicas to hang on the tree! Aline added a bow to our Circular Peyote Earrings and what great wreaths they make! Quick quick quick! 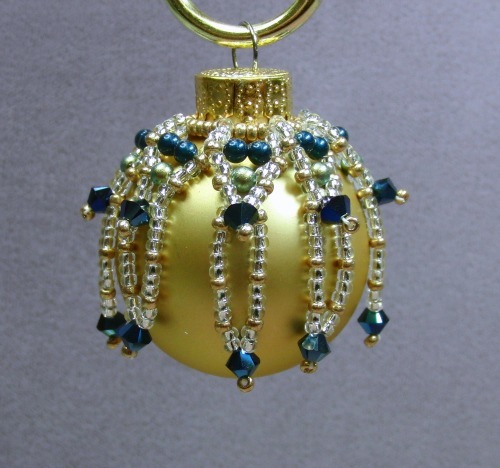 Make this sparkling snowflake ornament with Swarovski crystals ... makes a wonderful gift! 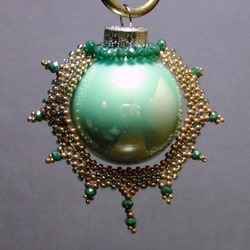 Use 3mm crystals and 11/0 seeds for the snowflake; 4mm crystals and 11/0 seeds for the star. This class is great for beginners! You should be able to make both variations during class. Fun spiral rope creates this wonderful wreath pin! 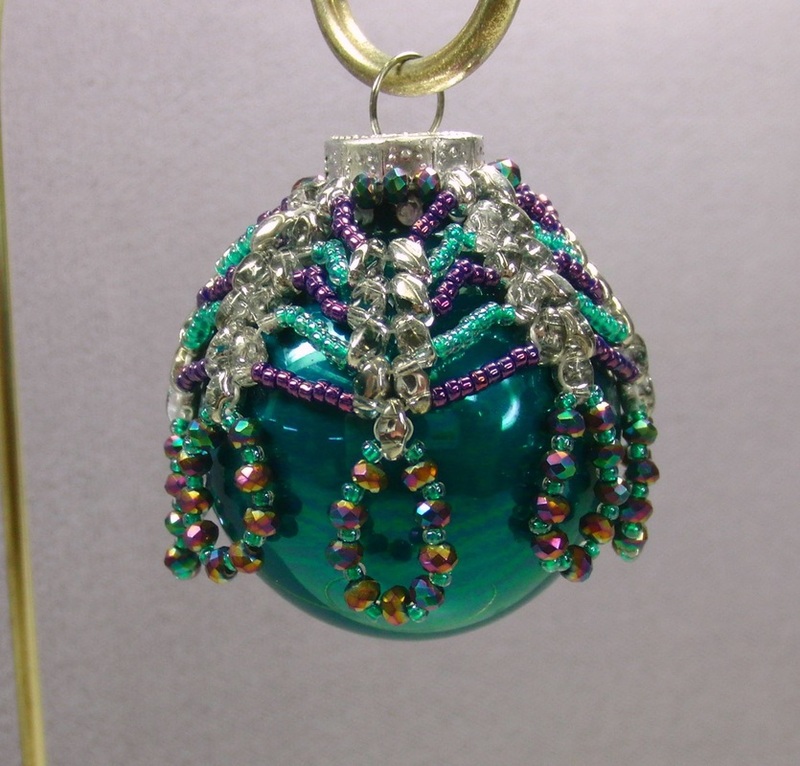 Using 4mm and 3mm Swarovski crystals and sizes 11/0 and 15/0 seed beads, create this great holiday wreath. Quick enough to make some for you and as gifts! 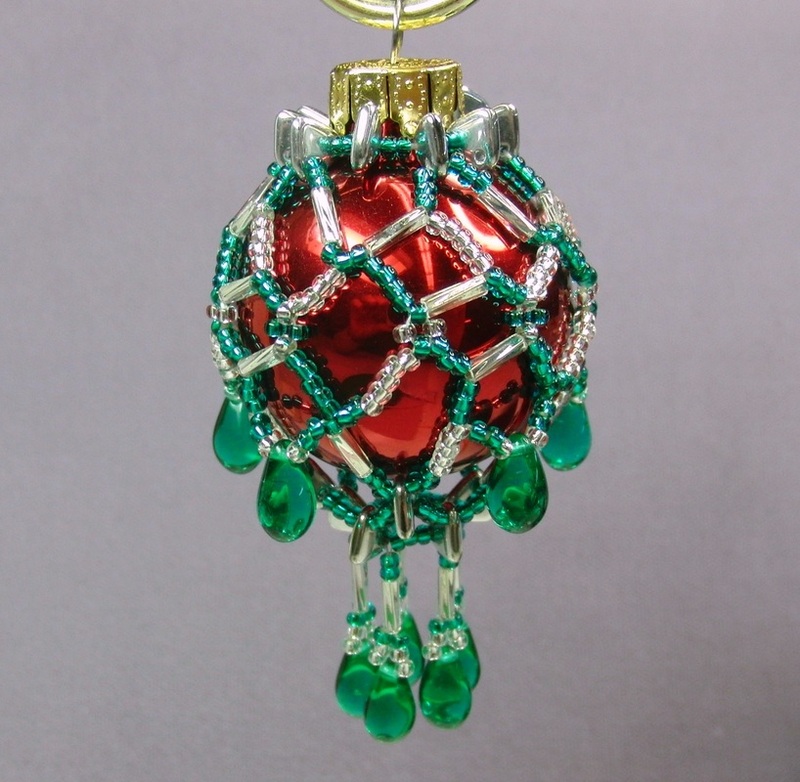 Use a wonderful technique combining Peyote and Herringbone to create this family heirloom ornament. Use 11/0 Delicas to create this timeless holiday classic. Chris designed this with a background color, three reds, three greens and yellow for the flower's center. Put your own stamp on it and vary the colors! These are really easier than they appear! 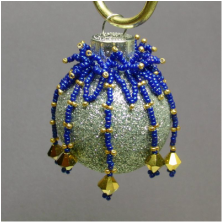 Using size 11/0 seed beads for the larger or 15/0s for the smaller, we prance round and round in circles until the pattern is complete. 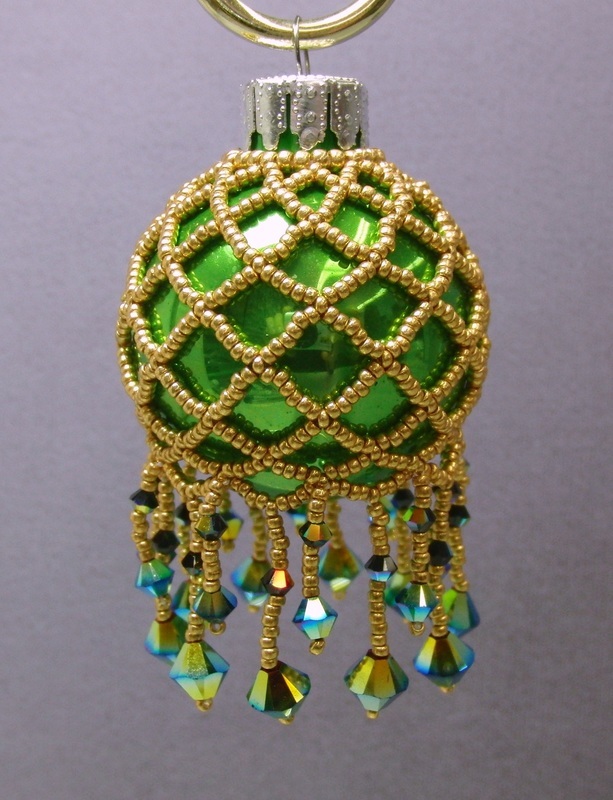 Grab your favorite glass ornament and come on in! (We've got some here if you need one.) This design works up relatively quickly and packs a punch. Once you get the hang of it, you'll be able to make adjustments to vary the design to create one-of-a-kind gifts for the ones you love (love yourself first! ).